1, Comes with 3 flamingo drinks holders, 3 palm tree coasters and 1 air pump. Can easily blow them up instead of using your mouth. 4, Respai inflatable coasters are perfect for pool decorations at your next beach party or Hawaiian Luau party. 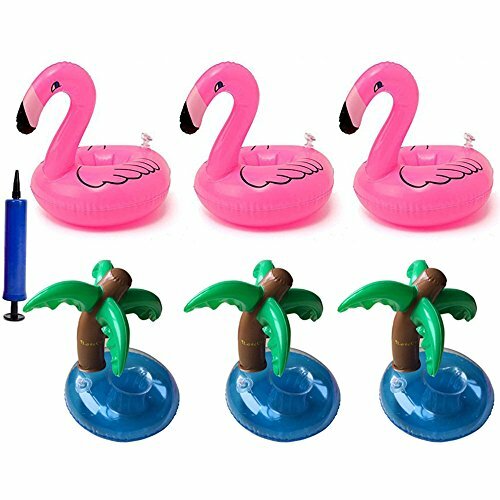 So much fun for floating around your pool as accessories! Great value.